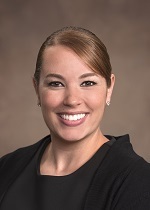 We are proud to announce that our Client Services Specialist, Lilly Vaughn, has earned the Financial Paraplanner Qualified Professional Designation. Individuals who hold the FPQP™ designation have completed a course of study encompassing the financial planning process, the five disciplines of financial planning and general financial planning concepts, terminology and product categories. Additionally, individuals must pass an end-of-course examination that tests their ability to synthesize complex concepts and apply theoretical concepts to real-life situations. Lilly has been a wonderful asset to the KFG Team since joining us in 2014. Join with us as we congratulate her in this accomplishment. One Response to Congratulations Lilly! Our congratulations to Lilly. You are the first person we encounter on our visits and you make us feel valued and welcome.